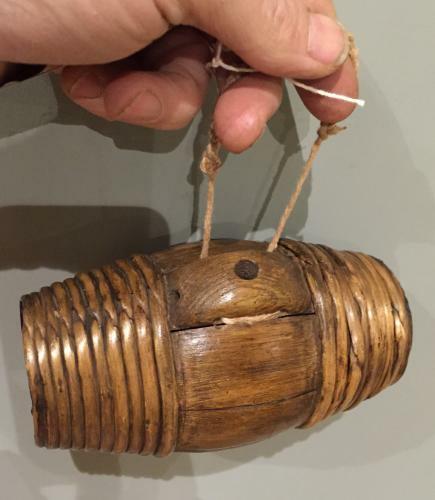 Rare small size child's Harvest Barrel with typical English Willow binding. There is a mouthpiece for drinking and plaited string handle. The willow bonds are complete and in good condition. I love these old Willow bound barrels but have seldom seen one as small as this. The whole family went into the fields at harvest time and this barrel would have had Blackberry wine or a watered down beer or similar. It is too small for use by an adult.